t*rexes and tiaras: We worshipped you, your red white hand.. 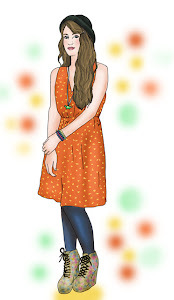 This was my outfit for a day trip to Bath with Sarah and Gem and a bundle of other bloggers. I totally failed to get any photos of it on the day, but when I saw how well Amber's outfit photos of hers turned out, I decided I needed to have another try-on session and swish my way around for some pictures, in the hope that they might turn out somewhere near half nice as hers. (Unlikely, I know). I rather like this combination, though. If I'm honest, I hadn't been quite sure when i first thought of it. I love this top but haven't had a lot of wear from it due to it's cropped length. 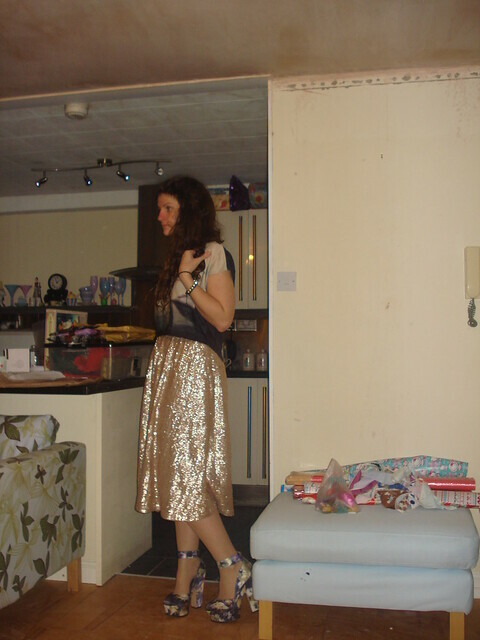 Luckily, this skirt sits rather high on my waist (too many mince pies, maybe?) which seems to mean it sits at just the right height. They compliment each other well. 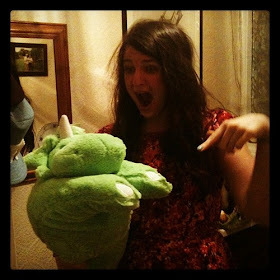 I then combatted my other fear. 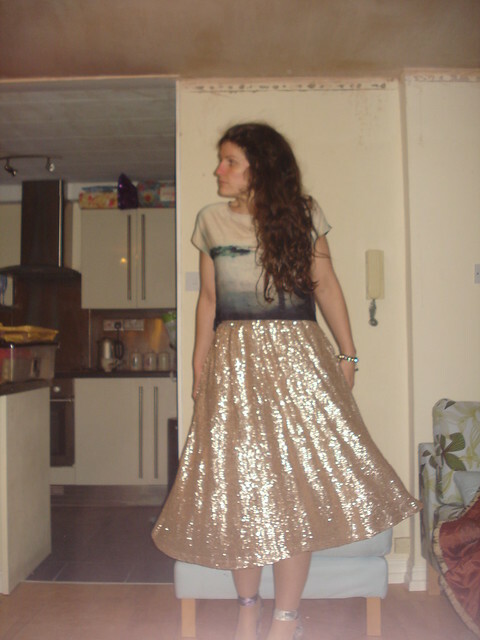 Midi skirts have this annoying habit of just not looking quite right, to me, if I don't wear them with heels. I have a *thing* about it, and get convinced that if I wear midi length anything with flats or low heels, it makes me look like I've got huuuuuge cankles. I don't know if the rest of the world would notice, but I'd be able to see nothing else, so I try to avoid it. Hence the platforms. Added to the fact that I couldn't wait to wear these ASOS Poet platfoms. 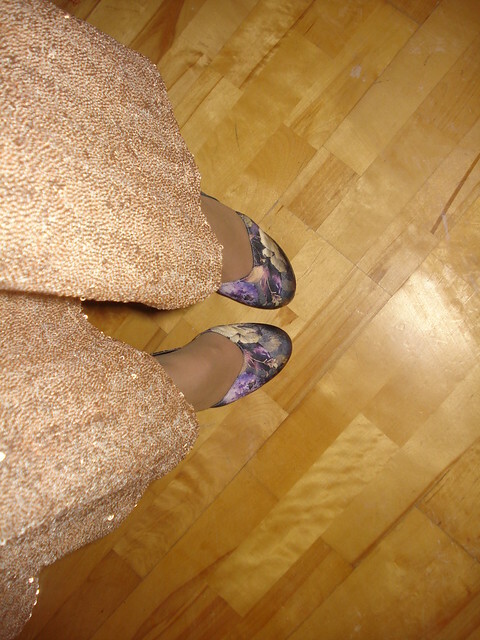 I think the muted floral satin goes pretty well with the rest of the colours in the outfit. wow! you look so shiny and sparkly! love that skirt! That skirt is so fabulous! <3 You look amazing!